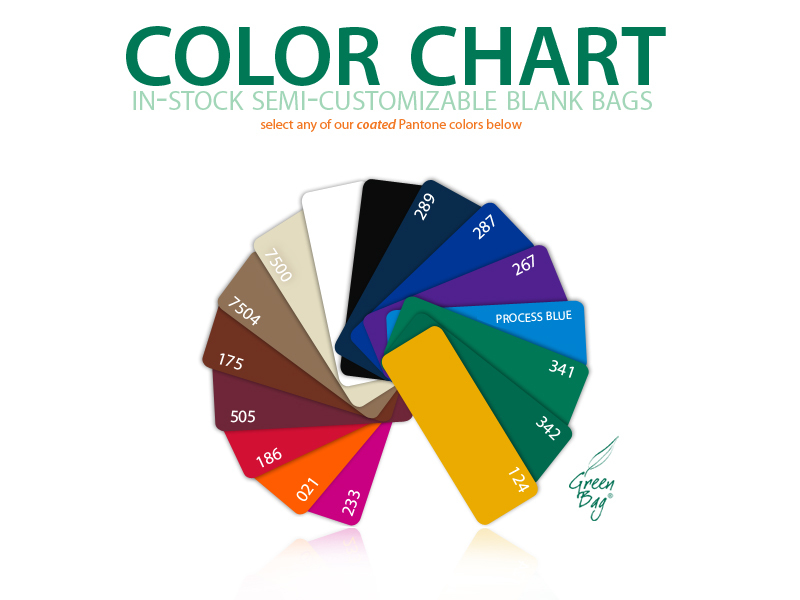 We have created easy-to-download documents detailing the artwork specifications for custom reusable bag orders. If you have any artwork or production-related questions about your bag order, please contact our Customer Service Department at 415-693-0189, or email us at salesus@greenbagco.com. We have a broad palette of standard material colors. 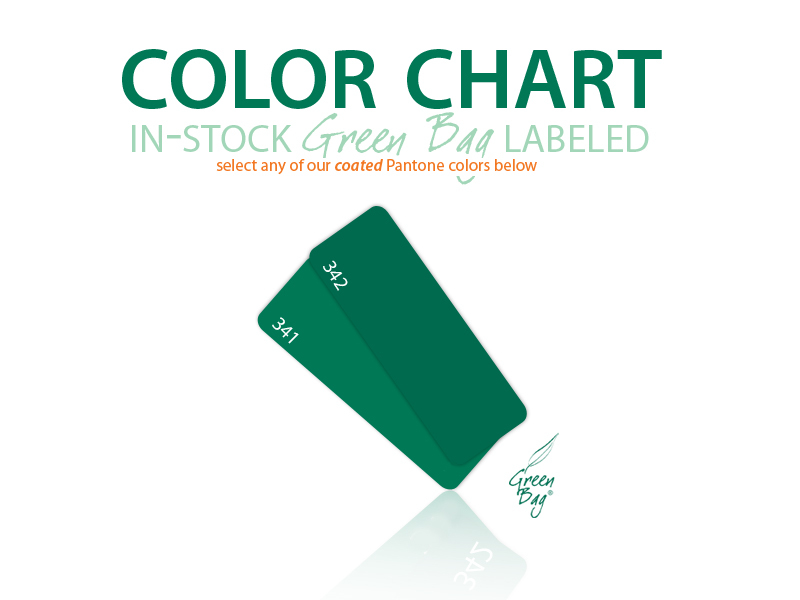 On our catalog you will find a color chart for each of our products. Some of our most common color charts are available here. 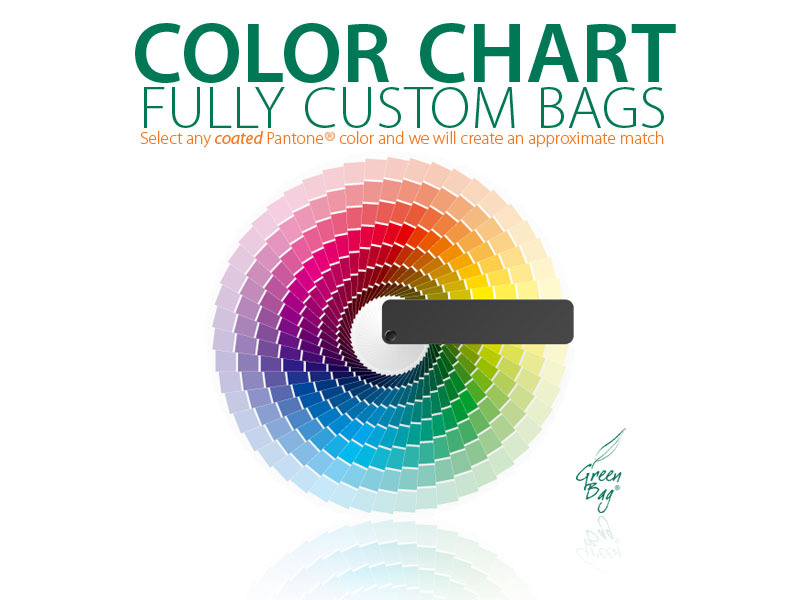 We can customize both the bag material and the artwork in any PMS color you require. We will also dye the material and the print colors to match your specific corporate branding. Please contact our Sales Department for more information.